Reforms adopted by Ethiopia's new Prime Minister Abiy Ahmed have challenged the status quo – politically and economically. They come as inter-ethnic violence is intensifying throughout the country. "I came here one year and three months ago. I had two shops in Oromia, I was selling food and clothes. When we came here, we started living in a little hut, we are suffering a lot." Water and sanitation are among the most urgent needs in the camp. 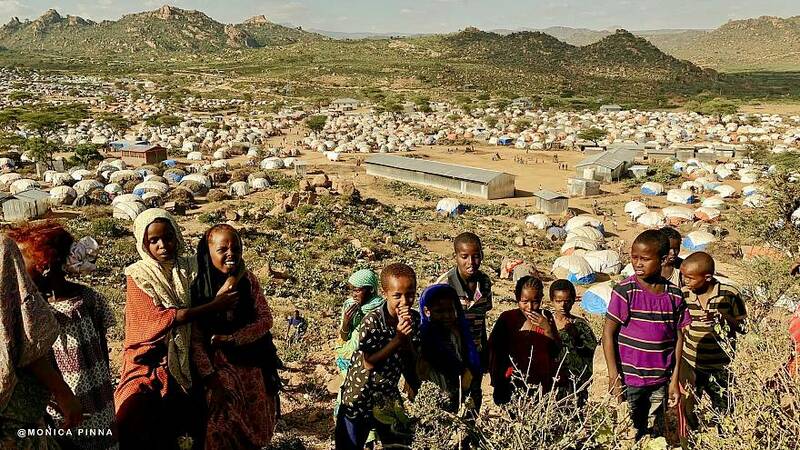 The United Nation's agency IOM (International Organization for Migration), financed by EU Humanitarian Aid, has built latrines and showers and is working on raising hygiene awareness. "I have learned to wash my hands properly, especially before I cook. I have learned to wash the dishes, eat while the food is still hot, and then cover the leftovers." "We have to focus on specific projects. We insist on this cash and vouchers scheme because for us it is the most efficient way to make these people self-reliant and to give them dignity in these very difficult circumstances. Ethiopia is in a very profound political change and the European Union is here to support these big reforms in this stable island of this region." "Our numbers are increasing; 150 children were born here. We are sleeping on a cement floor; we have no clothes. Our needs are increasing, but what we are receiving is very limited." "The database contains information about the basic needs of the displaced population, which makes it easier to coordinate the intervention of NGOs and UN agencies, as well as of the government. This translates into providing aid more efficiently."